The paper was prepared in response to a request from the Deutsche Gesellschaft für Internationale Zusammenarbeit (GIZ) GmbH to Slum/Shack Dwellers International (SDI) for a paper that examined how networks of slum or shack dwellers developed responses to their needs by engaging their local governments. According to the authors, one in seven of the world’s population live in informal settlements in urban areas. In low to middle income nations, that number can be closer to one in three. Though population growth has been higher in urban settings, governments have ignored these informal settlements. As a result these settlements lack provisions for basic infrastructure (such as sewers or roads) and services (including education, healthcare, and emergency services). City and national federations and networks of slum/shack dwellers have emerged as major players in addressing these issues and making cities more inclusive. As noted in the paper, SDI was set up in 1996 by six national networks of slum/shack dwellers. It is now active in more than thirty nations and supports learning from each other, encourages new federations to form, represents their interests locally and globally and works on developing mechanisms for funding. These federations are mainly informal settlements and are not seeking to confront their government, but rather seek a partnership for change. They want to change the perception held by many authorities that see them and their settlements as a problem – they want to be seen as allies, partners and innovators. They take initiatives to show their local governments what they can do, such as building houses and toilets. The paper focuses on how these federations interact with local governments, as well as the tools used by the federations in their work. The paper includes examples from site visits to Pune, India, Harare, Zimbabwe, and Jinja, Uganda. Federations have influenced the policies and practices of higher levels of government, with the support of funding from the Urban Poor Fund International of SDI and through the Asian Coalition for Community Action (ACCA). One of the key challenges facing the federations is about wanting to be treated as community organizations. They want to receive help for their work but want to be recognized as representative community organizations and avoid being seen as NGOs. All of the federations work with small NGOs that support their work. 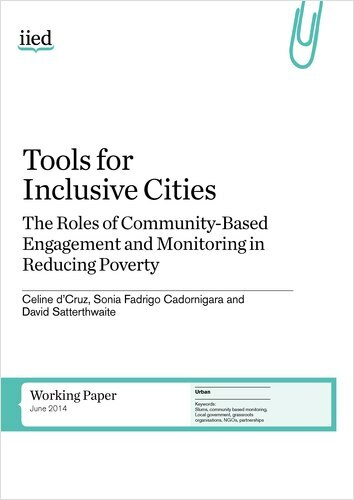 The federations and ACCA seek inclusive solutions to urban poverty through encouraging community organizations to act and through the development of political coalitions to represent low-income groups. There has been evidence of change in the way local governments interact with federations of slum/shack dwellers in all three cities visited. This is a brilliant article. Thank you.